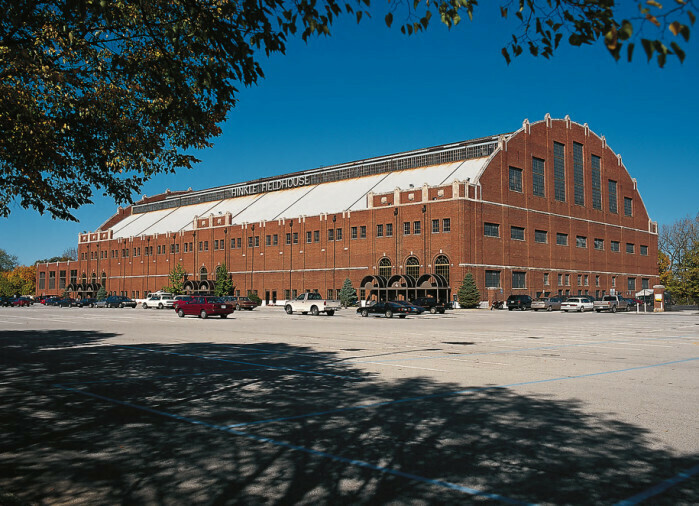 Hinkle Fieldhouse, formerly known as Butler Fieldhouse, is one of the oldest and best known basketball arenas in the world and has remained in continuous use since it opened in 1928. Few places represent the Hoosier obsession with the sport of basketball quite like Hinkle Fieldhouse. 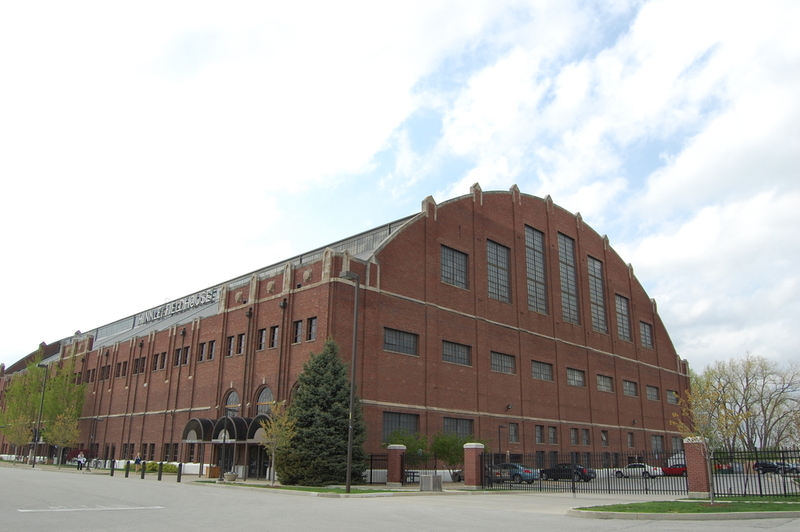 In addition to serving as the home arena of the Butler Bulldogs, the Fieldhouse hosted the Indiana High School Basketball State Championship Games 41 times between 1911 and 1994 (more than twice that of any other venue). 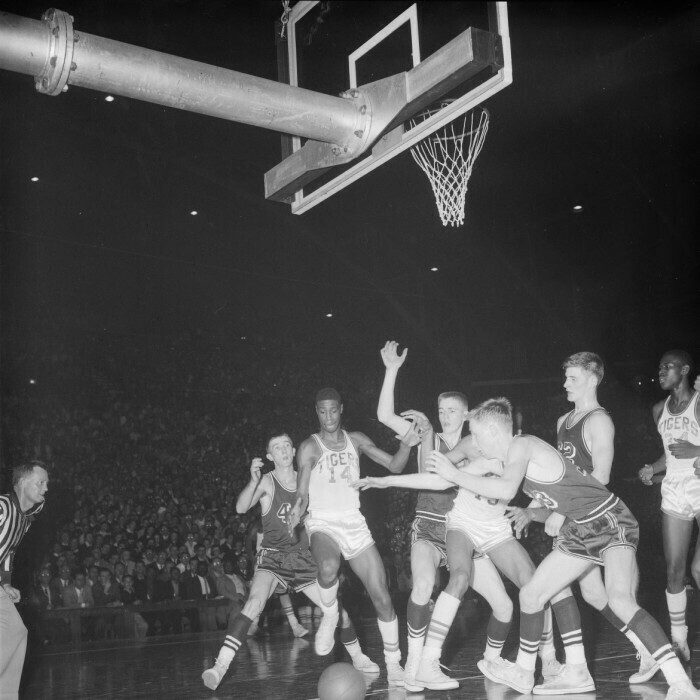 The fieldhouse also functioned as the home court for Indianapolis professional basketball teams like the Jets and the Olympians as well as the annual state high school basketball tournament until the late 1960s. In 1927-1928, Butler University hired Indianapolis architect Fermor Spencer Cannon to design a new athletic facility for the university. 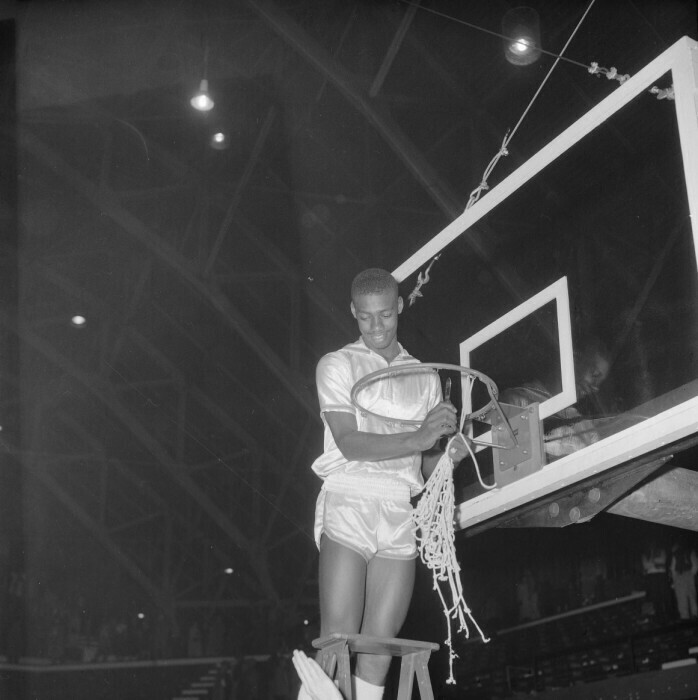 The explosion of college basketball, in addition to the frenzy that created the near-cult following of high school basketball, made a new, larger facility necessary. 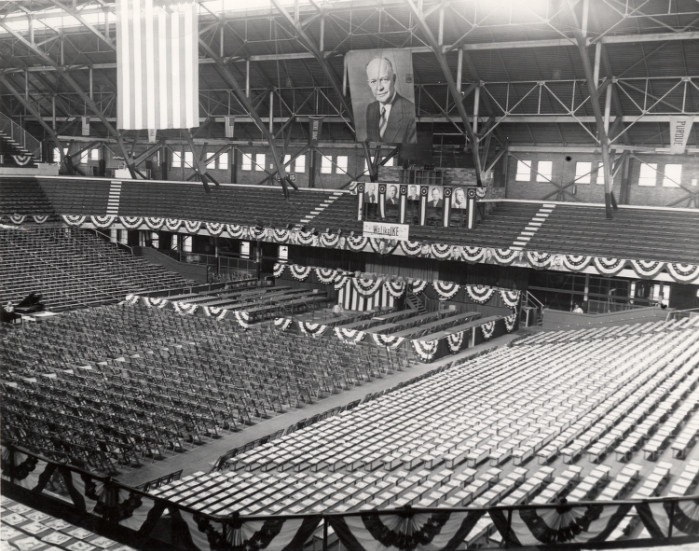 The fieldhouse was constructed to allow for unobstructed spectator views. Rather than using the more traditional posts or pillars, Cannon used a novel approach of arched steel trusses to support the roof. Although the court originally ran east and west, this was changed in 1933 to allow more seating and to assist the athletes who found the basket on the western end difficult to see in the afternoon sun. 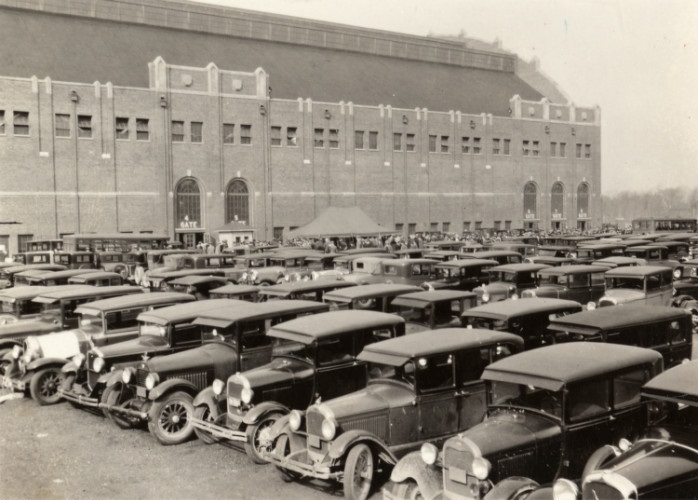 The fieldhouse remained largely unchanged after the 1933 remodel until its renovation in 1989. With the construction of Cannon’s design, Butler possessed the one of the first major collegiate fieldhouse in the United States. Butler Fieldhouse was renamed in 1965 in honor of Paul Daniel “Tony” Hinkle. 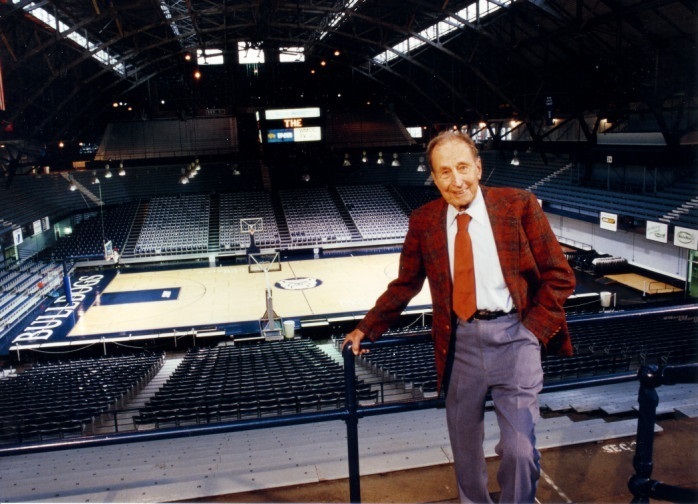 Hinkle served Butler from 1929 through 1970, coaching football, baseball, and basketball. He retired with 1,060 wins across all three sports. An influential figure in collegiate basketball, Hinkle served on the NCAA Basketball Rules Committee (including a term as chairman), as president of the National Association of Basketball Coaches, and was the 1965 inductee of the Naismith Memorial Basketball Hall of Fame. Hinkle is also remembered for his “Hinkle System,” a basketball strategy utilizing motion, passing, picks, and screens. In addition to its use as a basketball arena, the fieldhouse has acted as host to various other sporting, religious, civil, and political events. 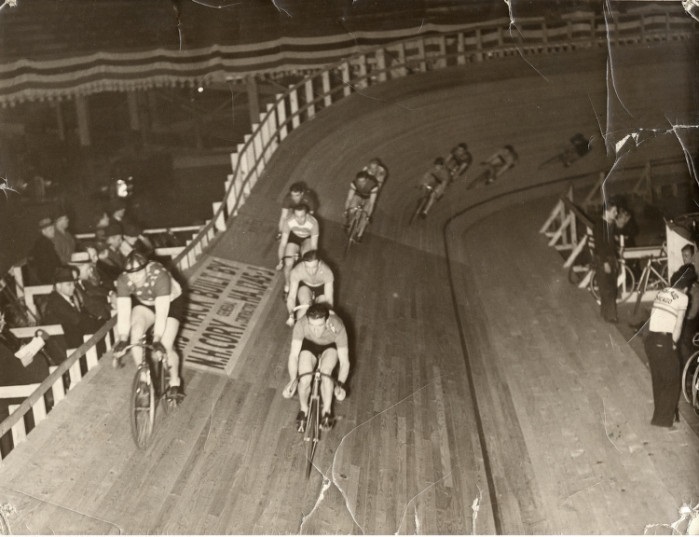 The fieldhouse was the site of the 1937 six-day bicycle race run for 11 hours and 45 minutes each day; the banked wooden track constructed for the event was described as “the fastest in the country.” As a convention center, the fieldhouse has hosted presidential hopefuls on campaign such as Herbert Hoover, Dwight D. Eisenhower, and Gerald Ford. 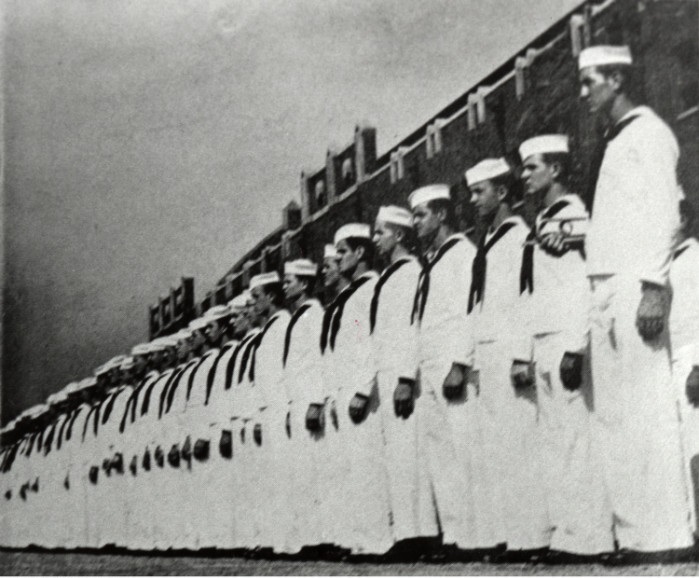 During World War II, the fieldhouse served as barracks for both the U.S. Army Air Corps and the Navy Signal School. The final scene of the 1986 film Hoosiers was filmed at the fieldhouse. 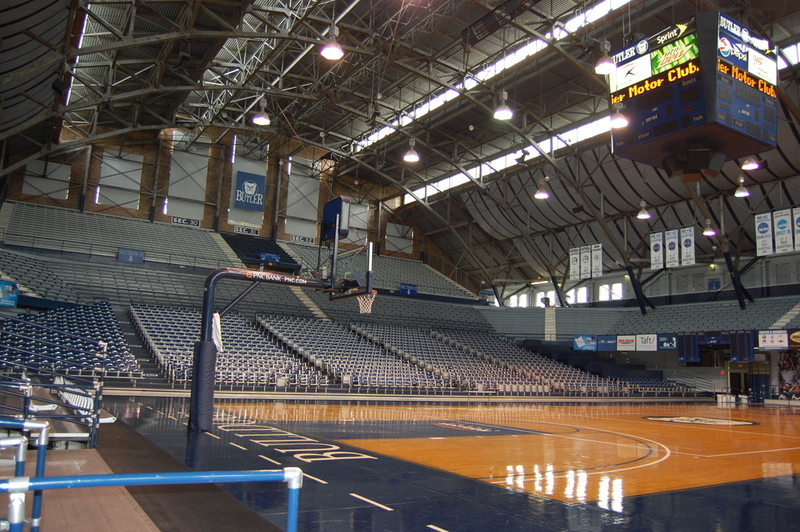 Hinkle was listed as a National Historic Landmark in 1987 for its esteemed role in college and high school basketball. 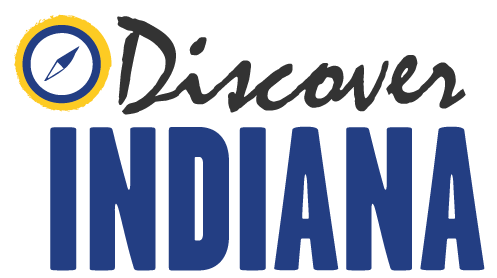 John Sureck, Indiana Division of Historic Preservation and Archaeology, “Hinkle Fieldhouse,” Discover Indiana, accessed April 20, 2019, https://publichistory.iupui.edu/items/show/30. Howard Caldwell. Tony Hinkle: Coach for all Seasons. Bloomington: Indiana University Press. Published on Nov 10, 2013. Last updated on Apr 2, 2019.